Our Hemp Extract Pain Gel is a topical solution for aches, cramps, strains and muscles spasms. Hemp Extract, also called CBD, is known for its powerful anti-inflammatory and pain-relieving properties. CBD's natural properties can help ease away soreness in the body. We blend our signature premium quality, high potency hemp with other natural ingredients like Camphor Oil and Aloe Vera to deliver cooling, long-lasting relief. The therapeutic and relaxing benefits of CBD seep deeply into your skin to target even the most complex and stubborn pain. 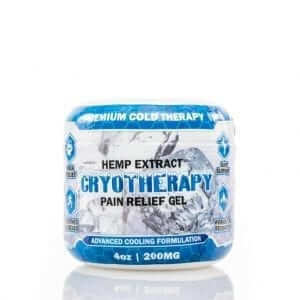 Sufferers of arthritis, muscle aches, and joint and back pain often trust Hemp Extract to provide pain relief, while restoring comfort and mobility. You can feel good about using Nature’s Script’s products to help resolve your pain, since we derive our CBD from natural, organic Hemp grown in a sustainable environment. Experience how our Hemp Extract Pain Gel can help soothe away your pain.